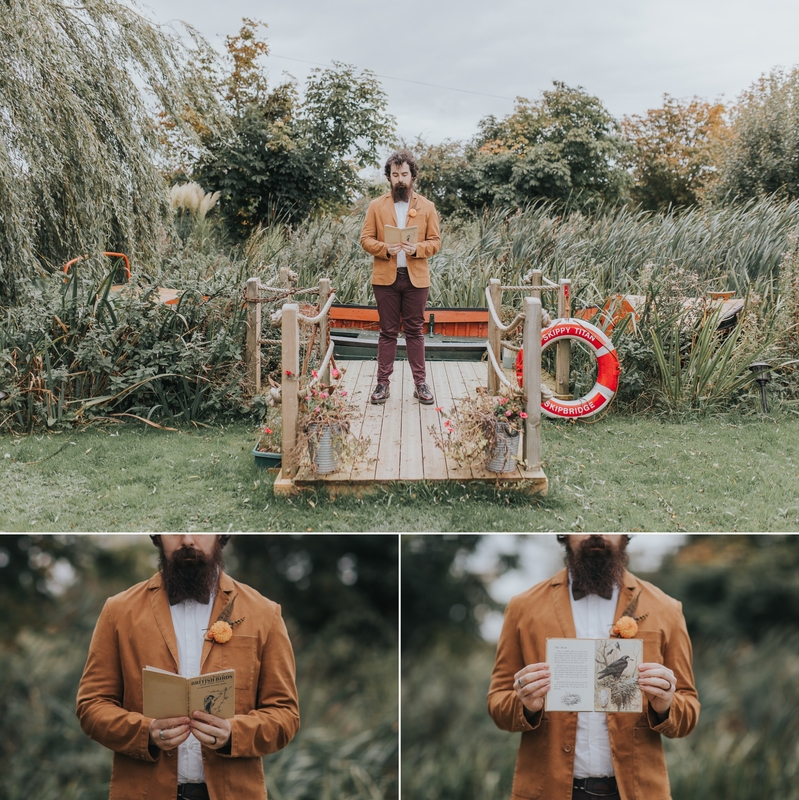 This shoot was massively inspired by film director Wes Anderson, in particular his movie Moonrise Kingdom set at a camp site. 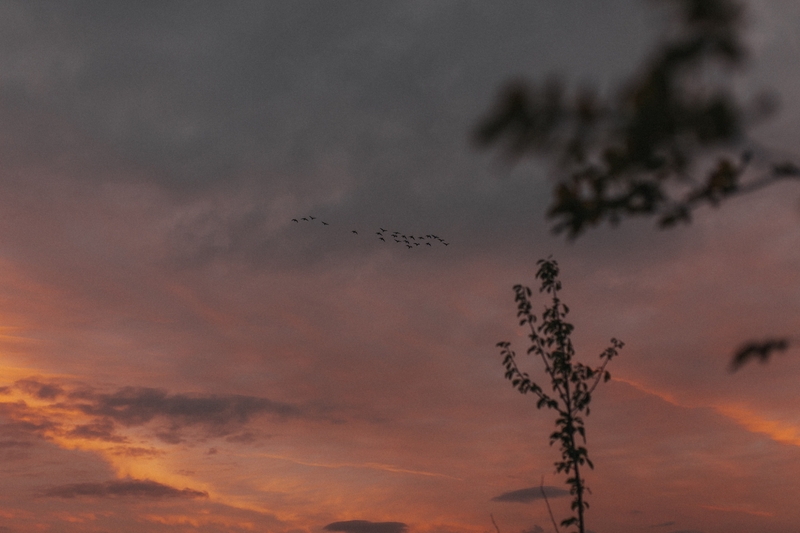 His films using a lot of symmetry and use specific colour palettes that repeat throughout the movie. 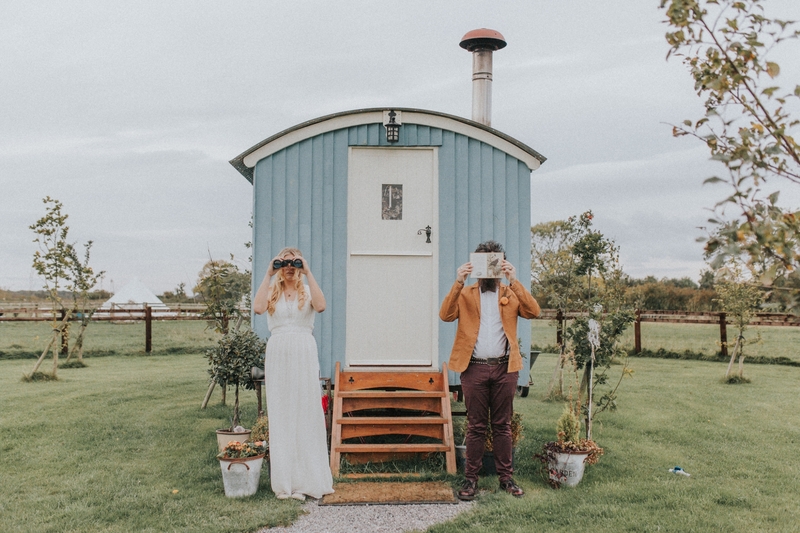 There is a rise in festival style weddings and glamping weddings, something we all as suppliers want to showcase. 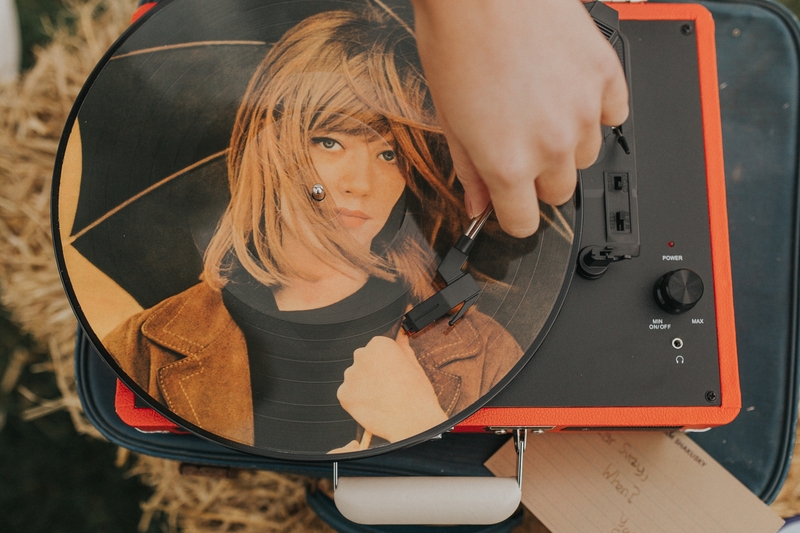 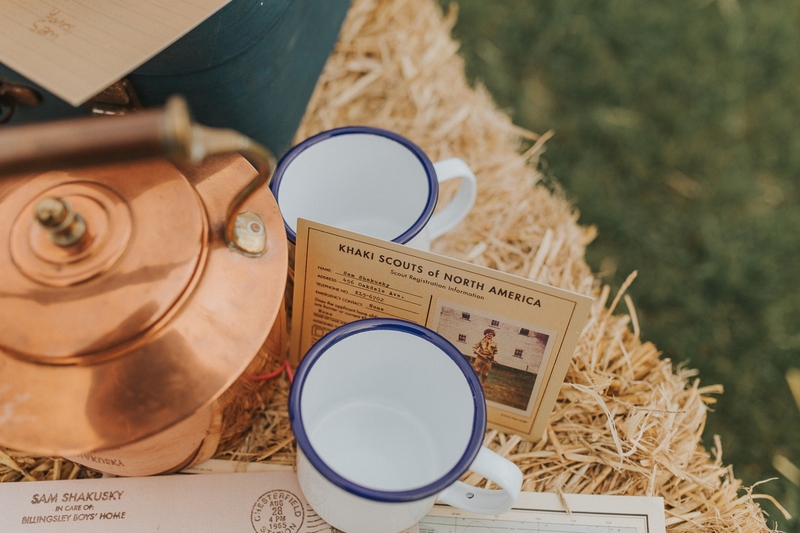 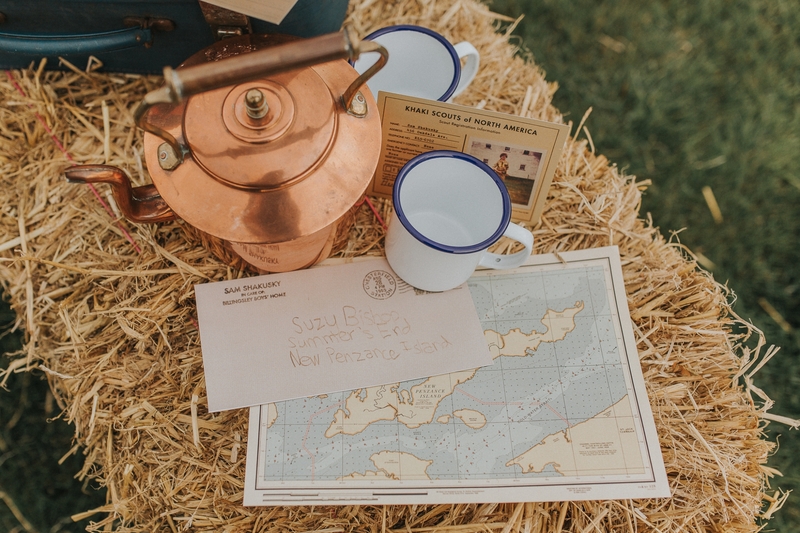 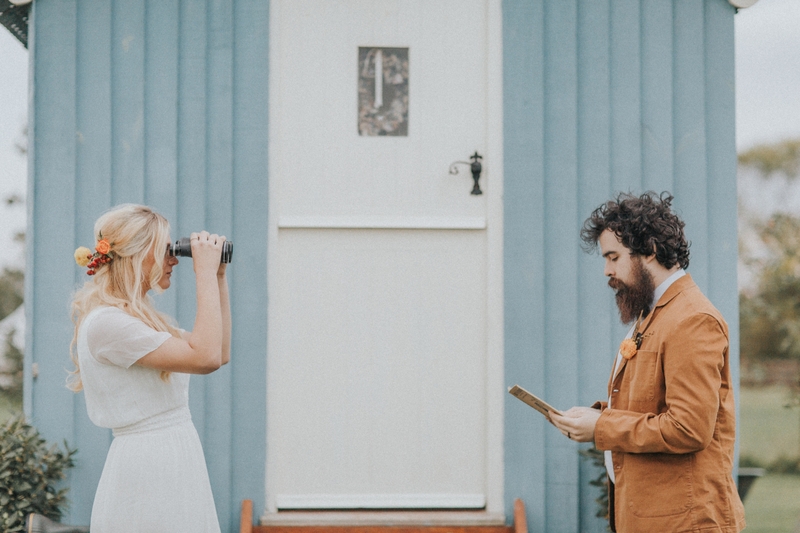 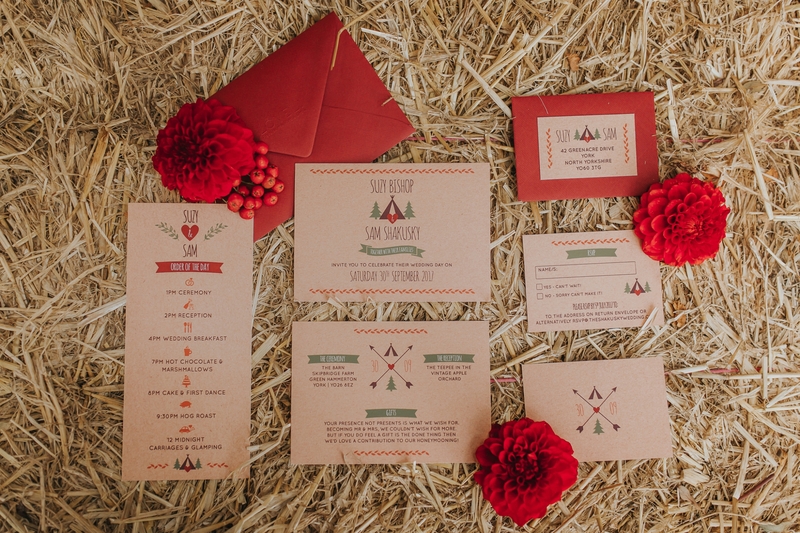 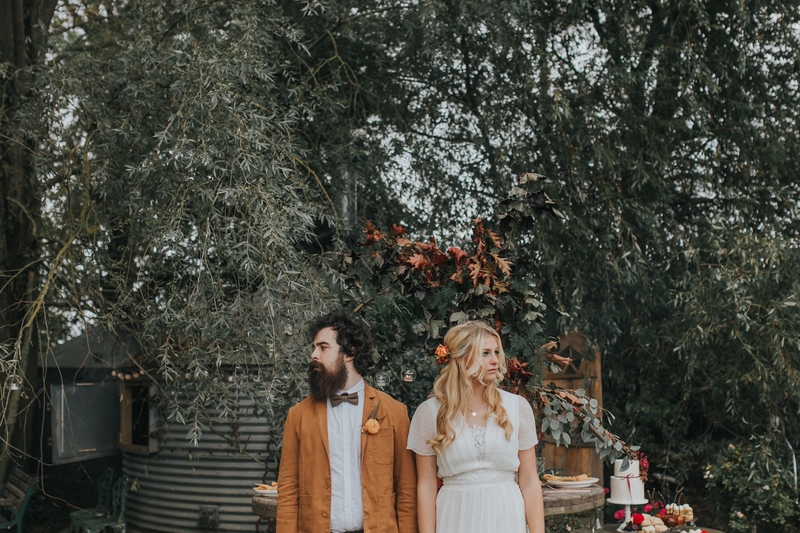 These two elements smashed together to create Wes Anderson Wedding inspiraiton. 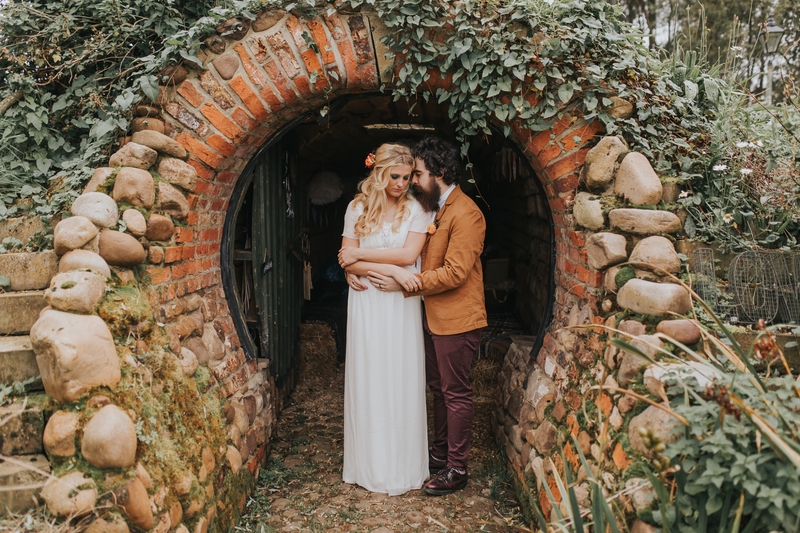 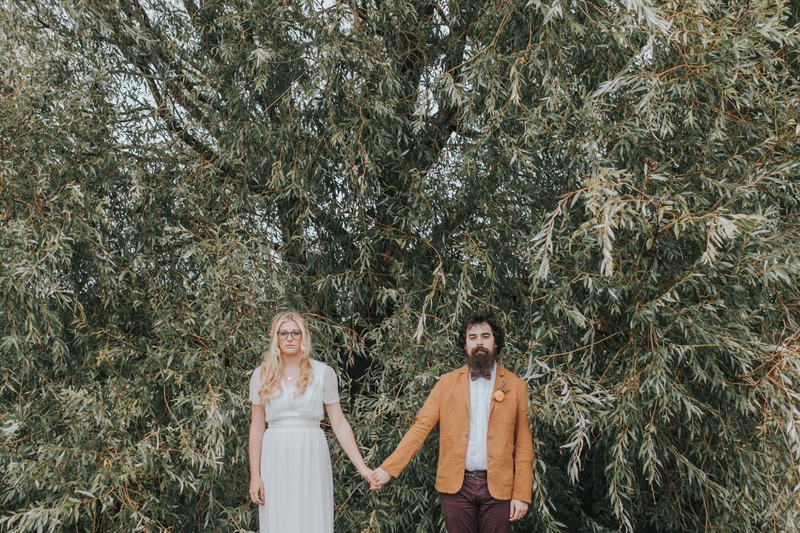 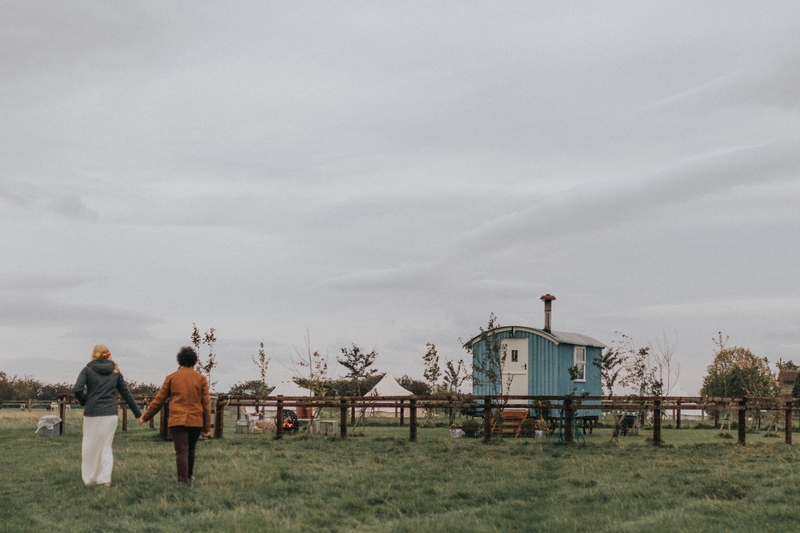 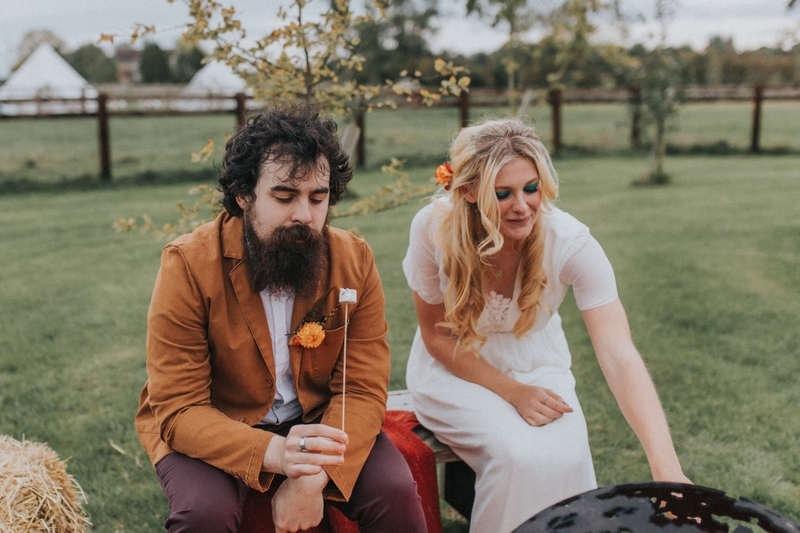 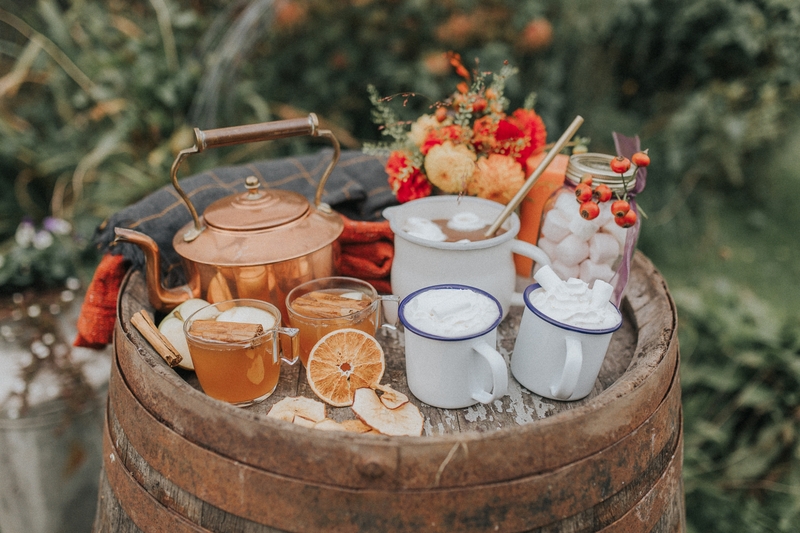 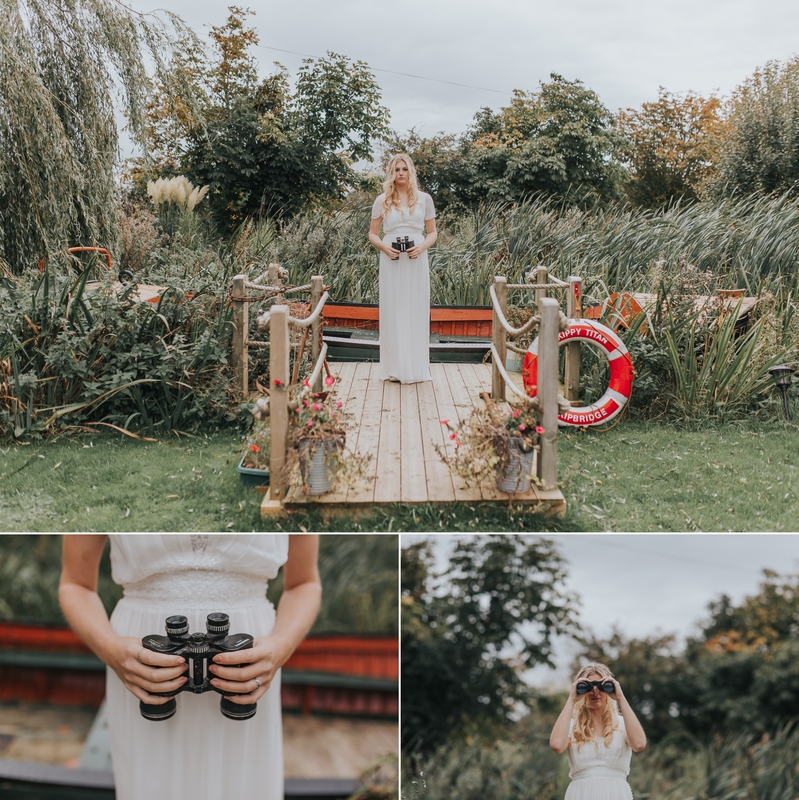 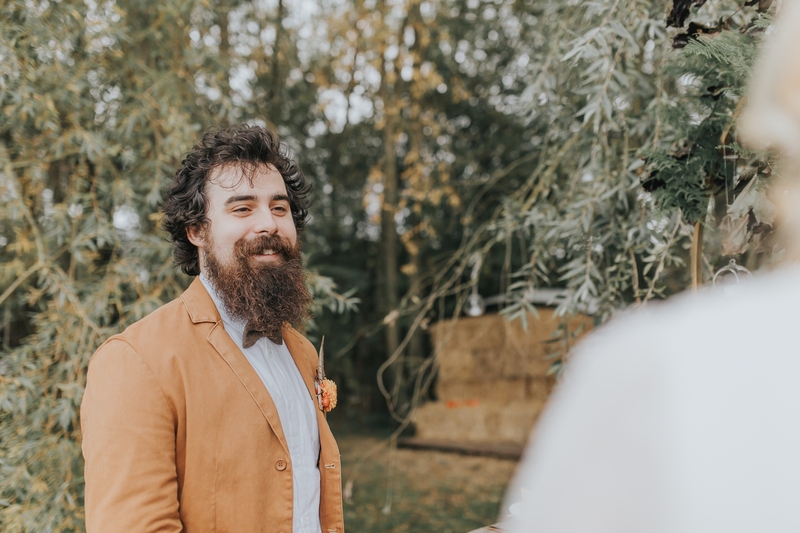 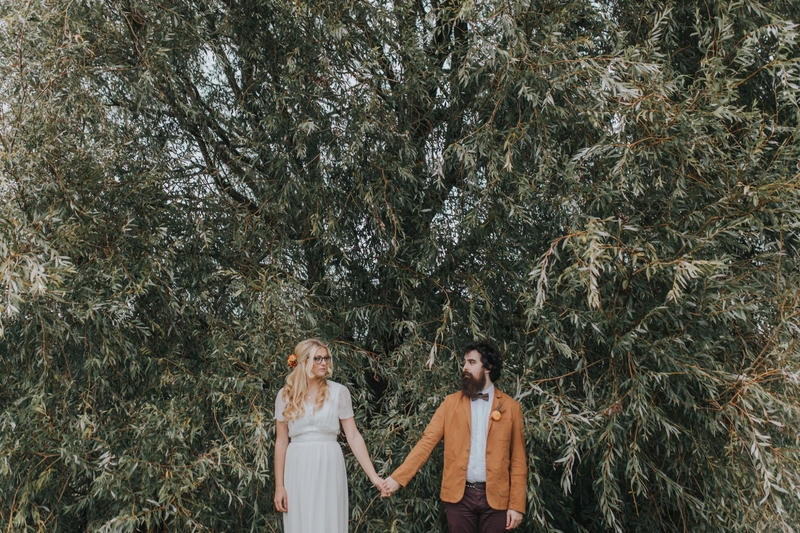 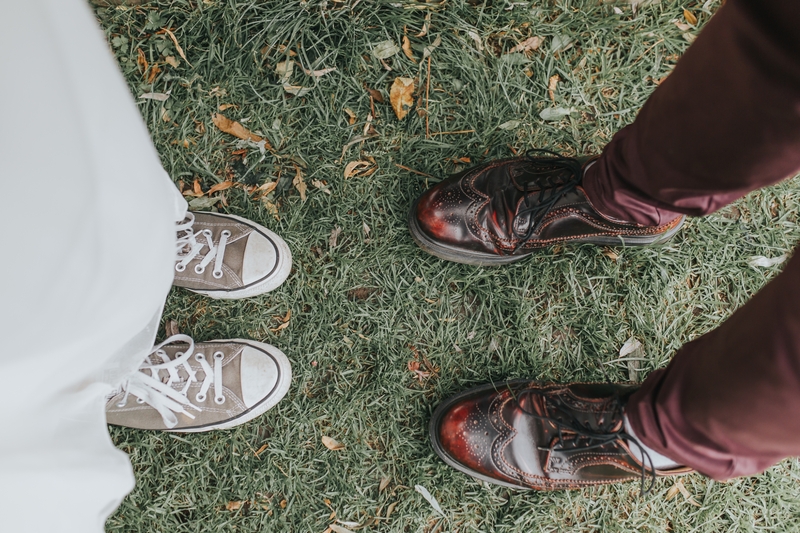 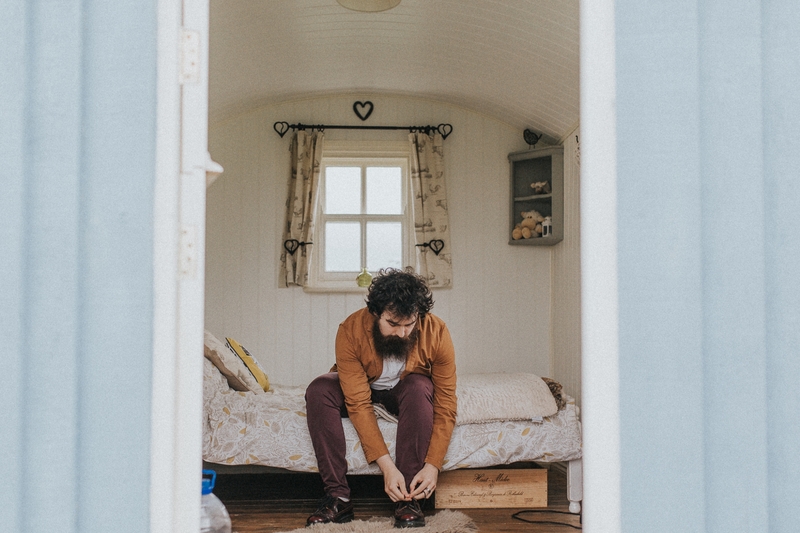 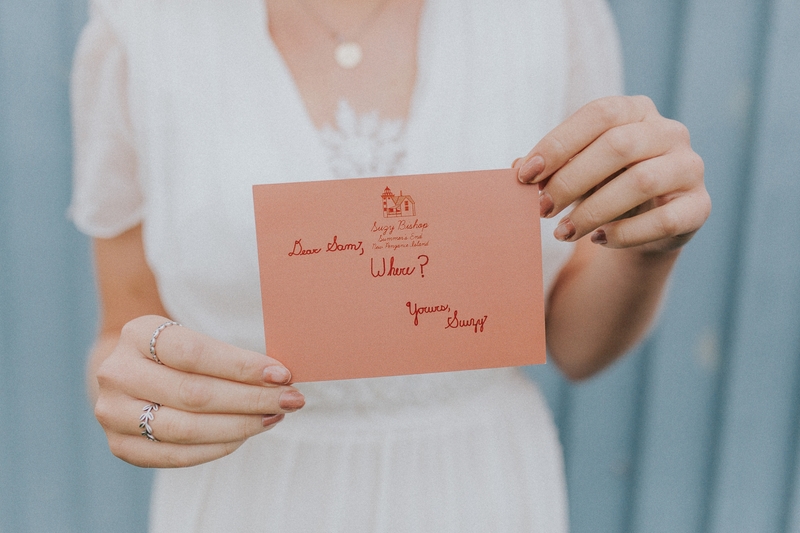 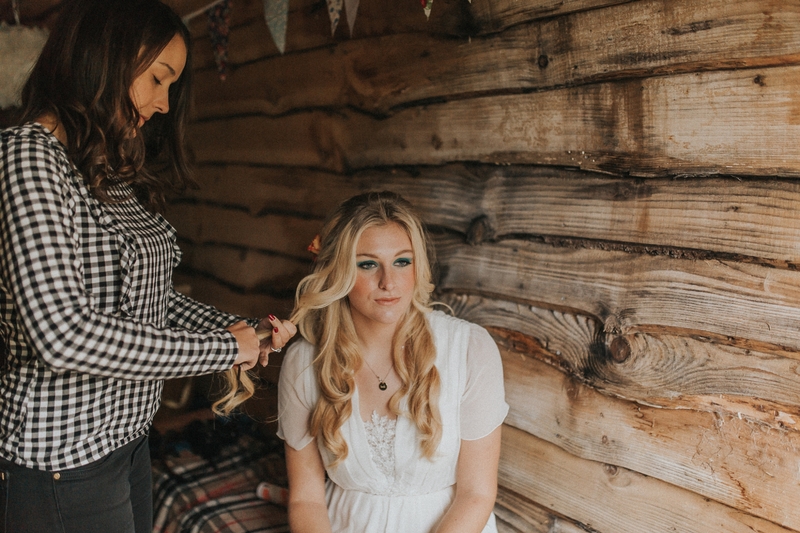 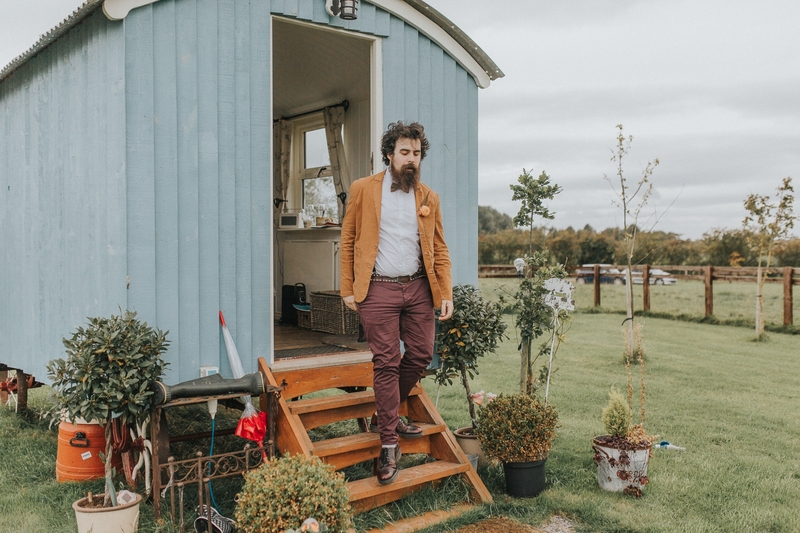 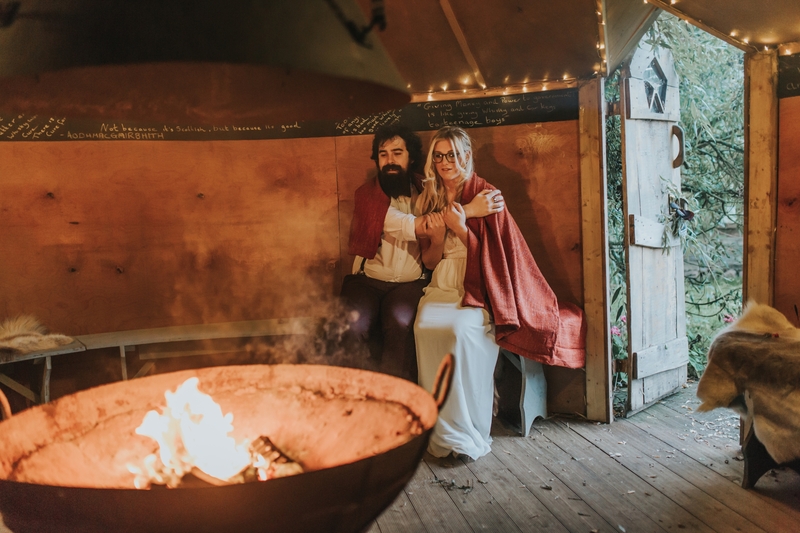 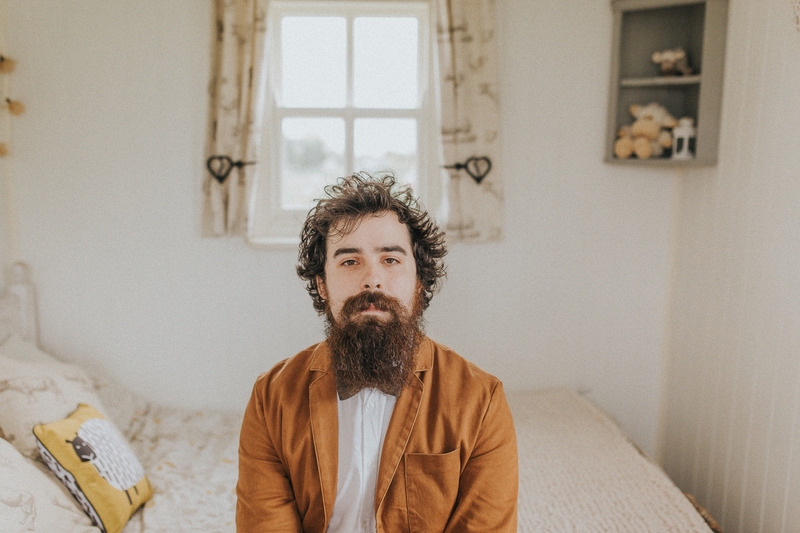 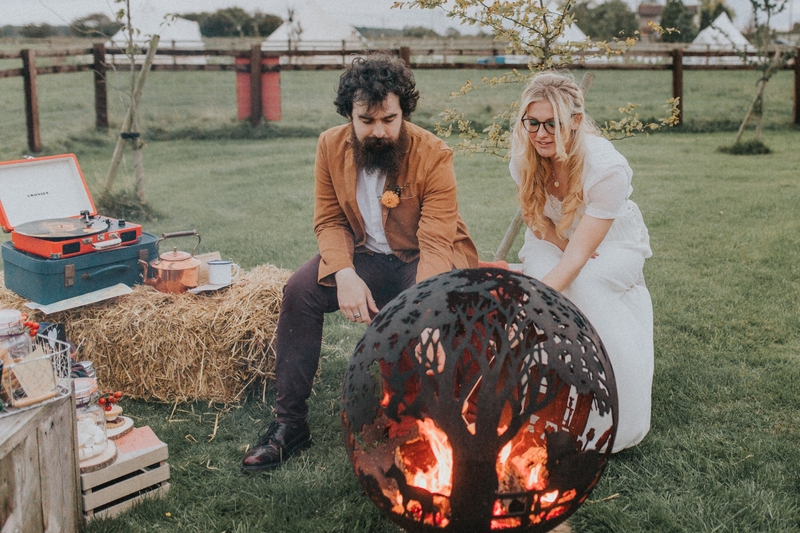 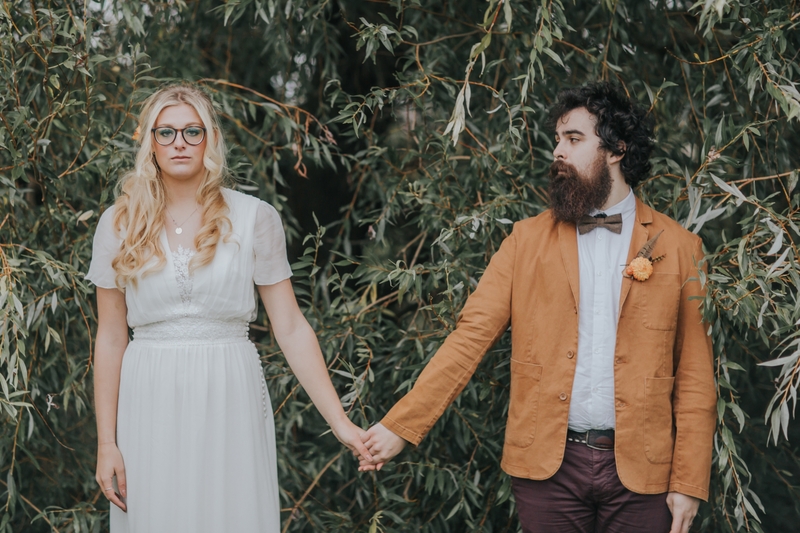 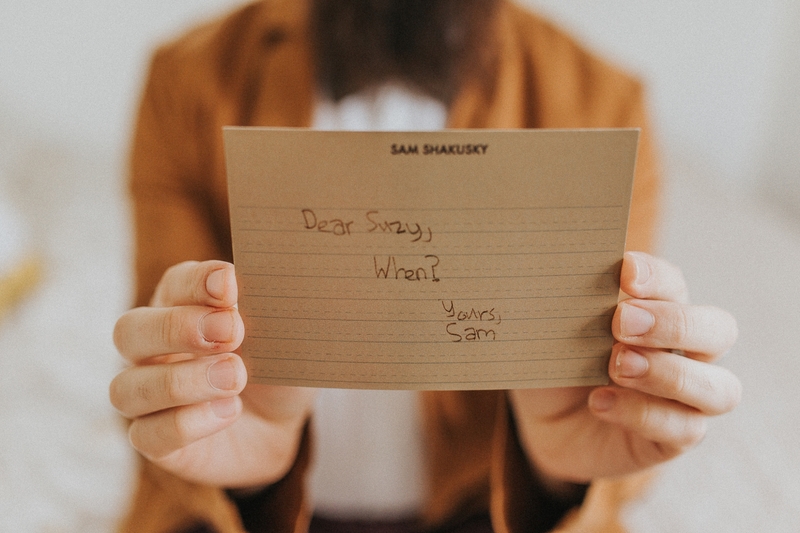 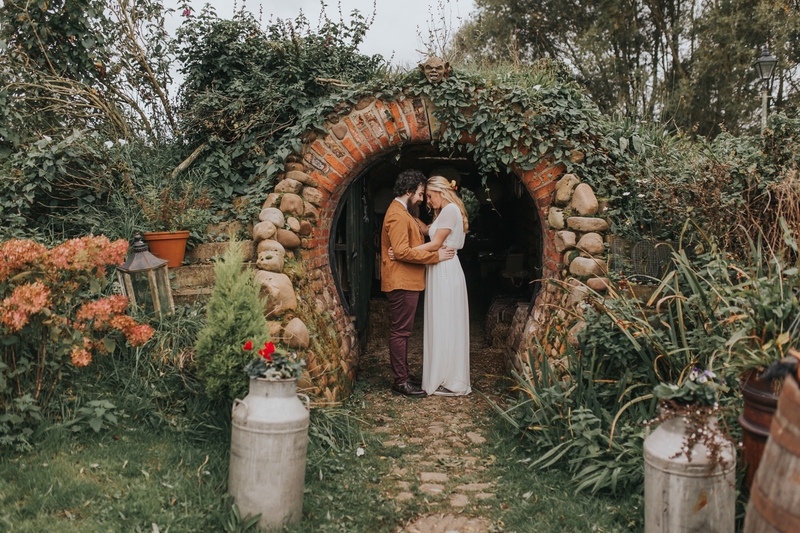 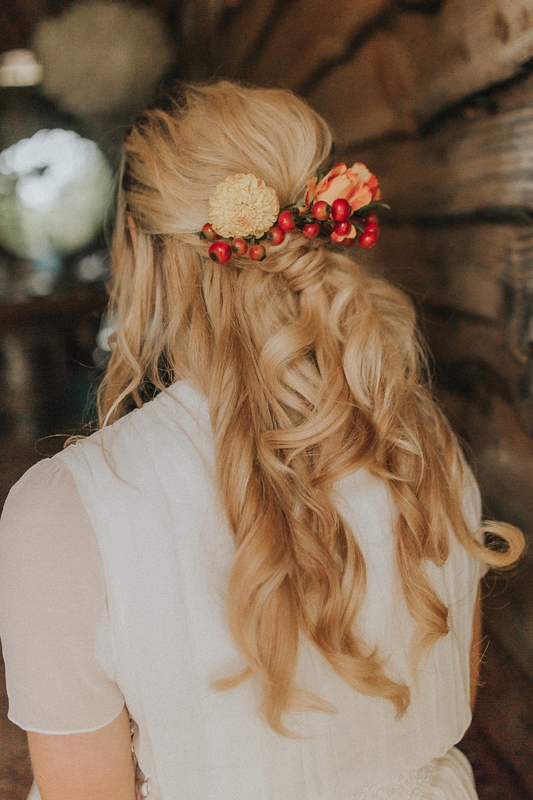 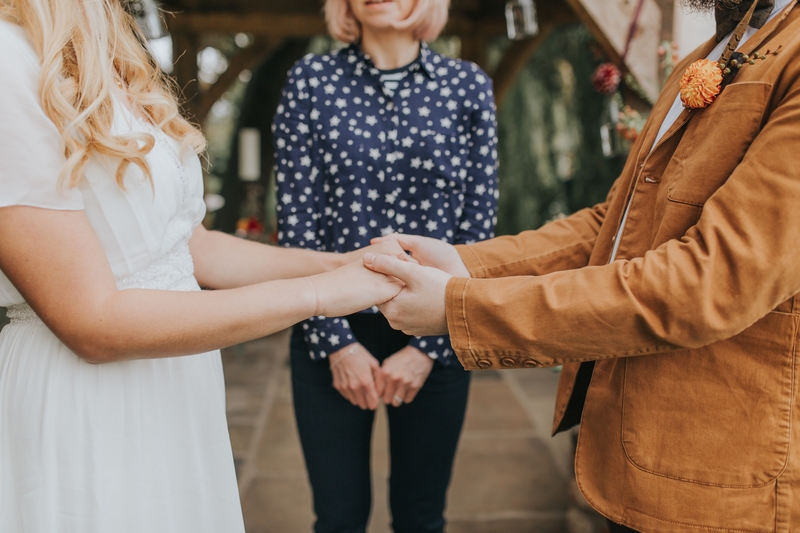 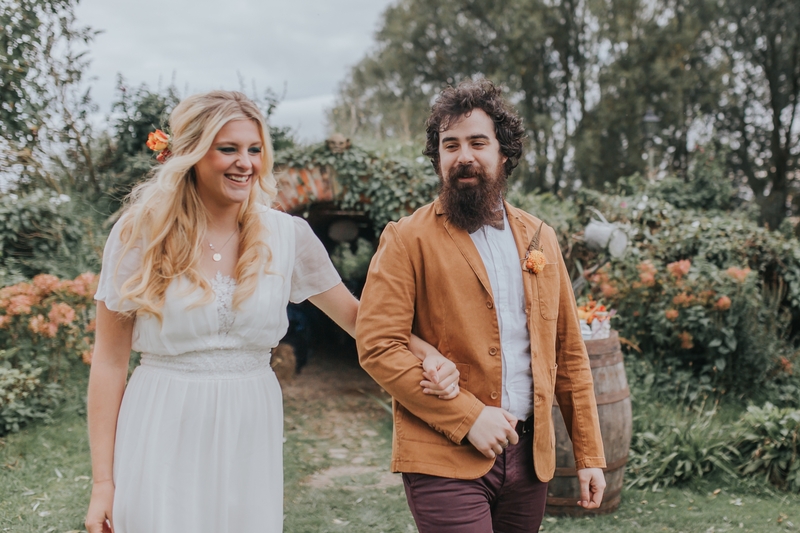 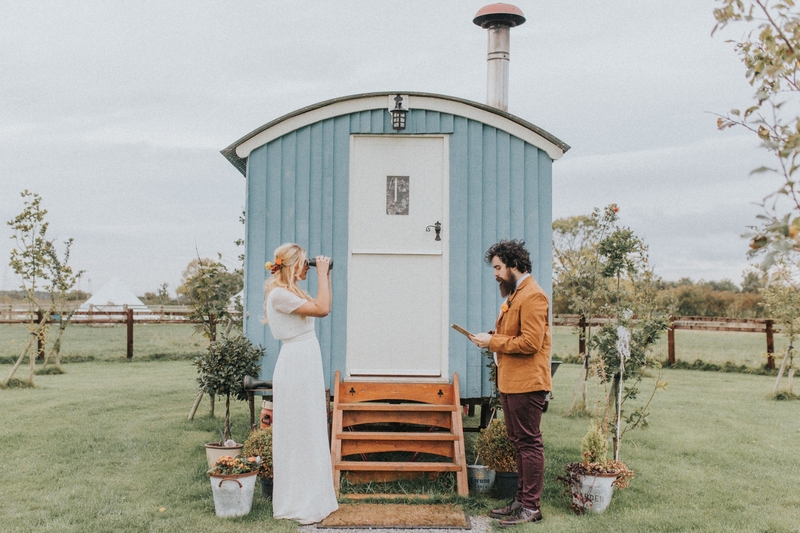 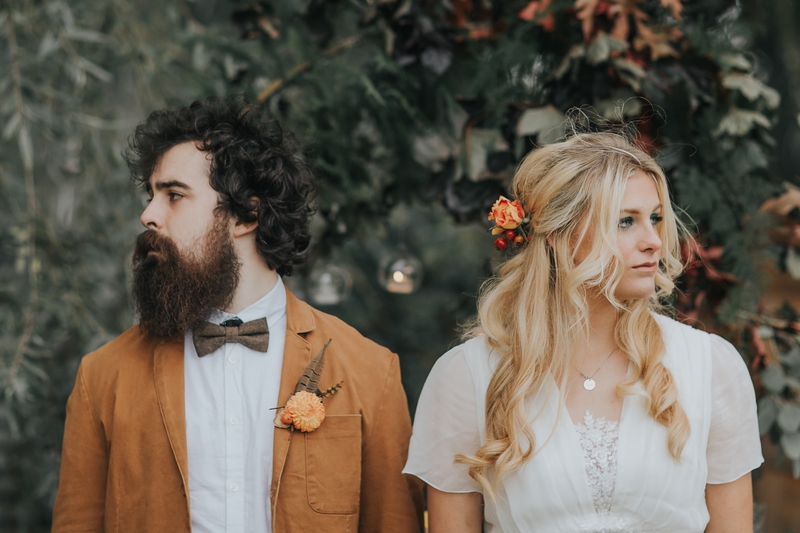 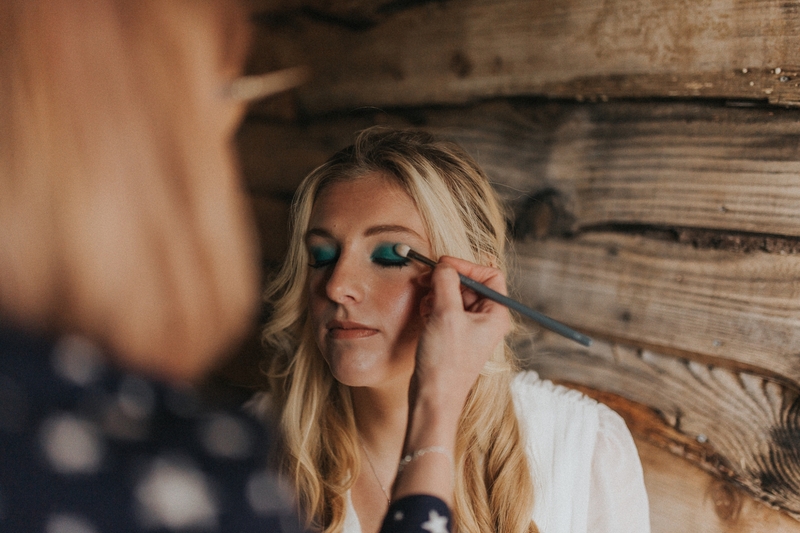 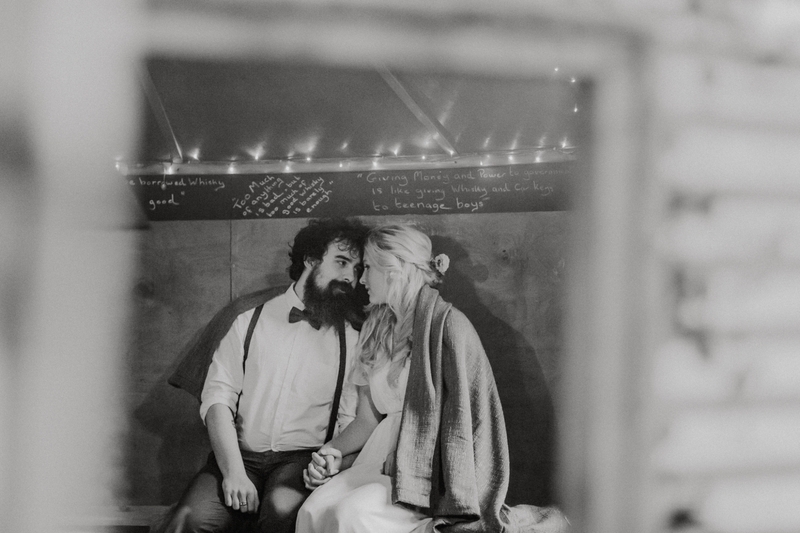 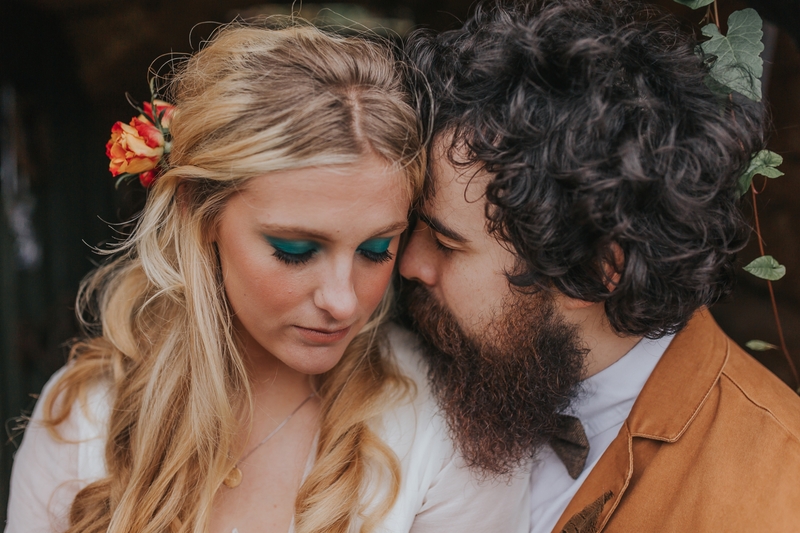 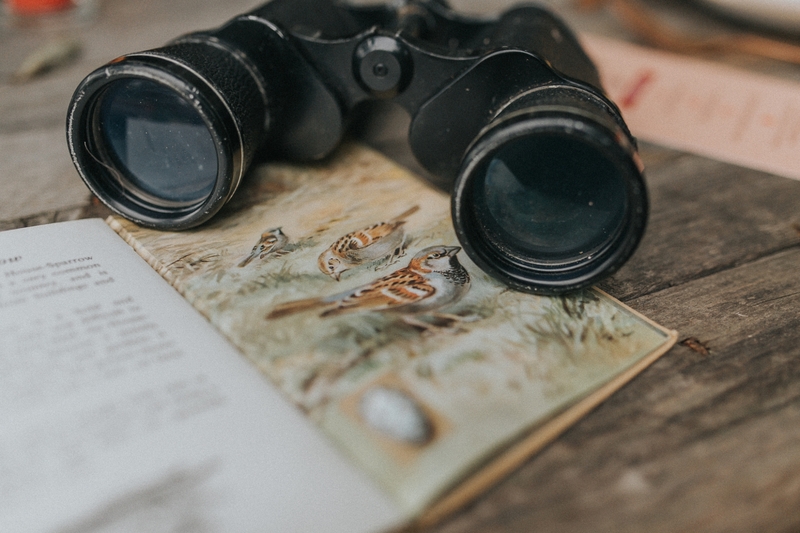 So in the planning of this Wes Anderson wedding inspiration shoot, we choose Skipbridge Country Weddings as the venue due to it’s beautiful glamping facilities. 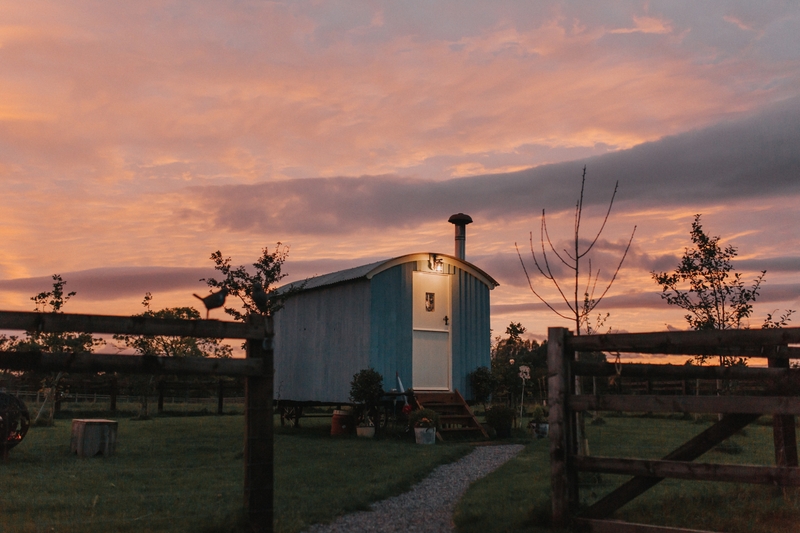 This includes a wonderful shepherd’s hut, campfires a plenty and an intimate snug for guests to warm up. 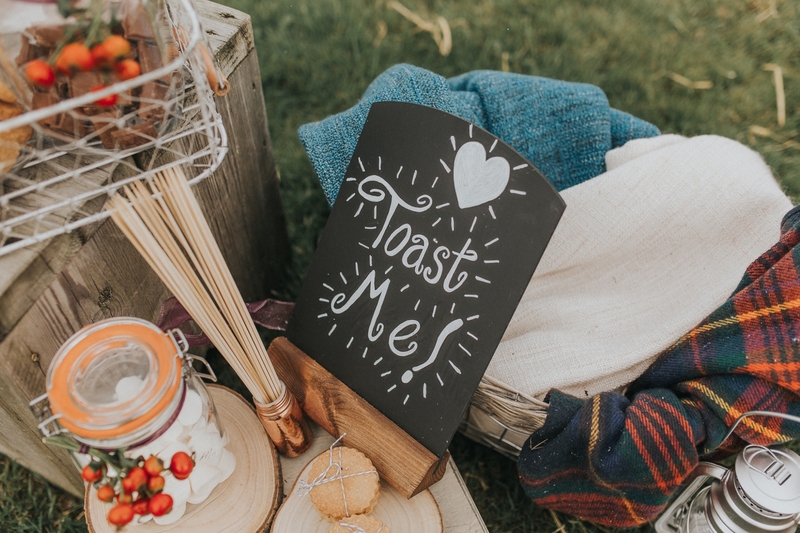 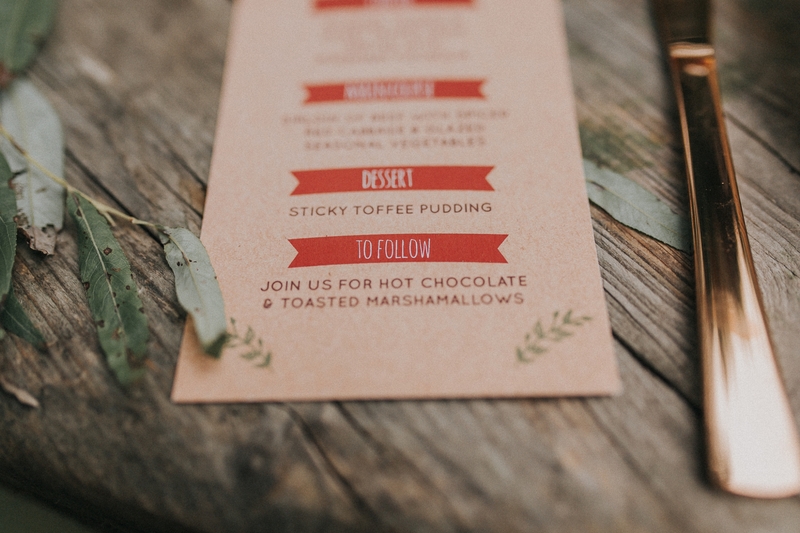 We knew we wanted toasted marshmallows, a ‘smores’ bar and a hot drinks station which perfectly fit with the autumn setting. 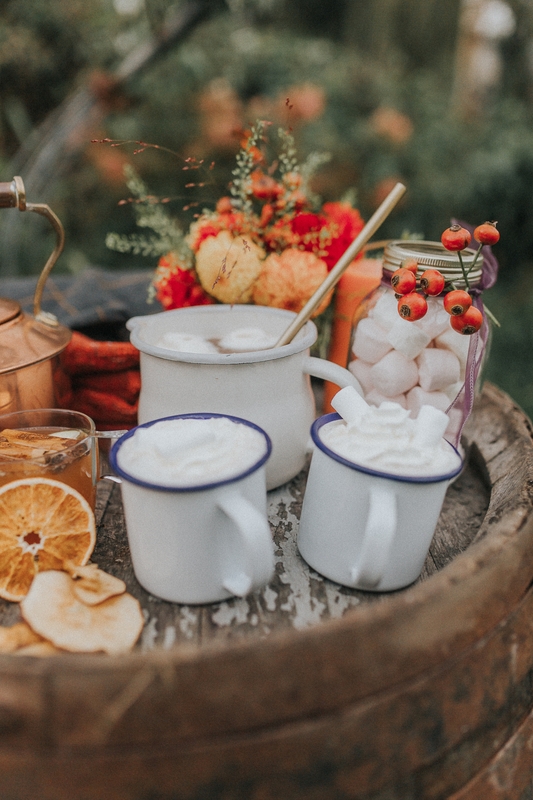 Our stylist Sian Chaplin also brought in camping crockery to use for the cups and plates to further add to the camping feel and autumn feel. 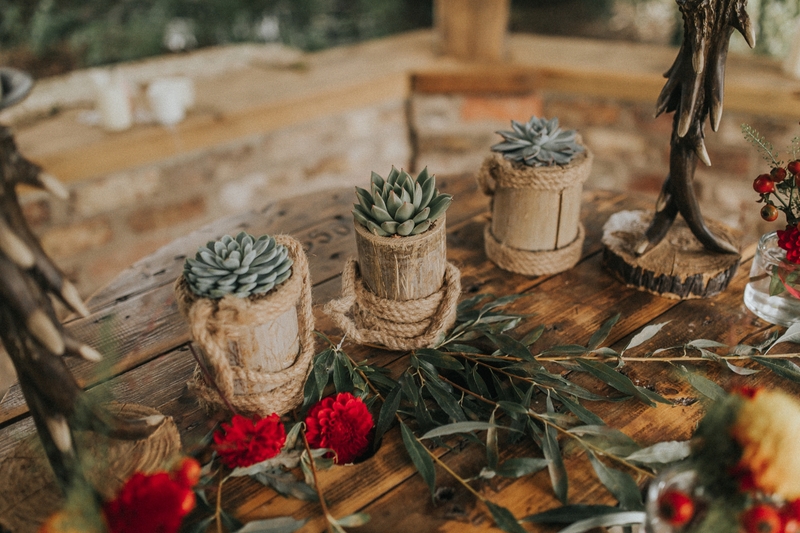 Christine from Horticouture created the amazing floral displays making use of milk churns, mason jars, vegetables(!) 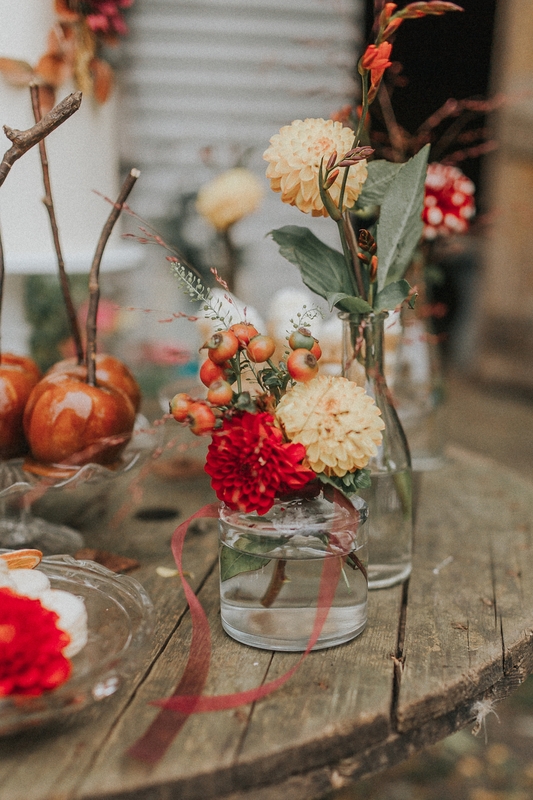 and seasonal flowers to really add colour to the wedding set up. 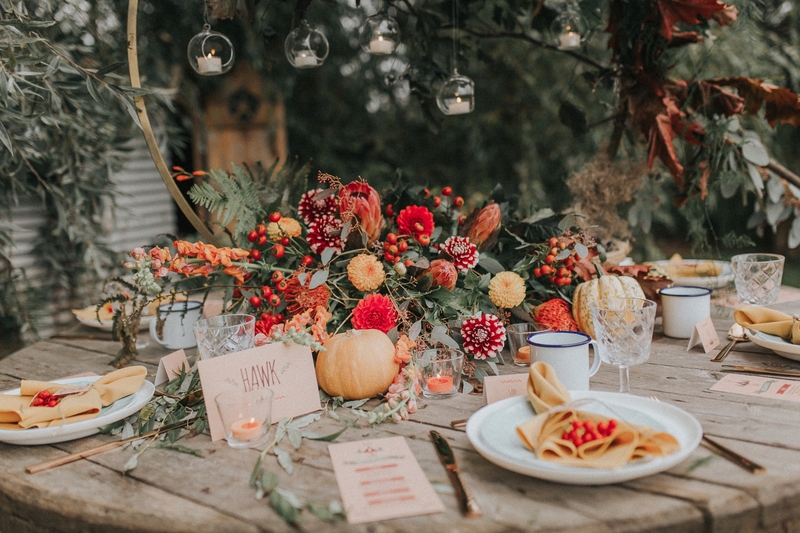 The pumpkins and candles reflect the time of year. 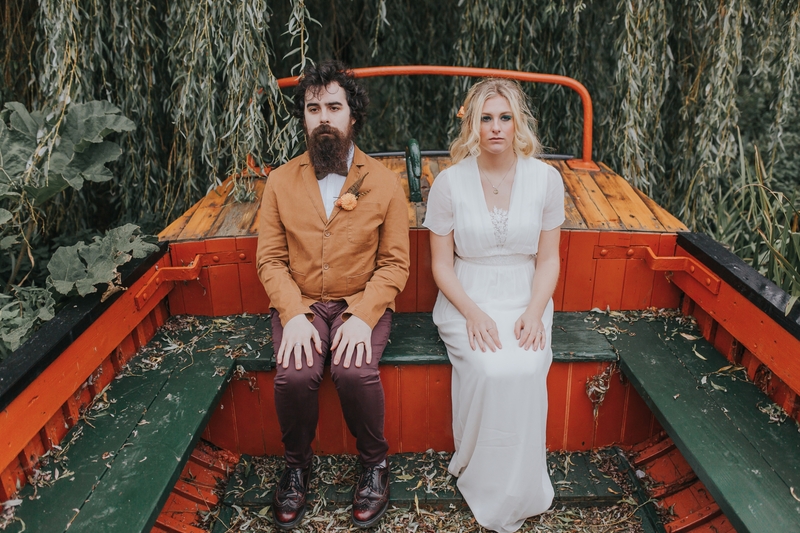 They sit perfectly with the colour palette we created for the Wes Anderson wedding inspiration shoot. 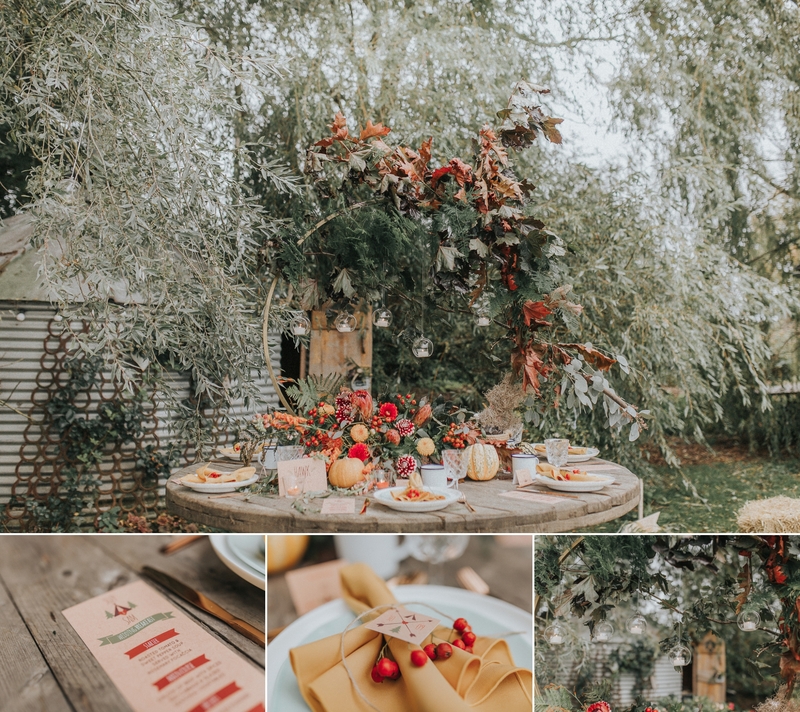 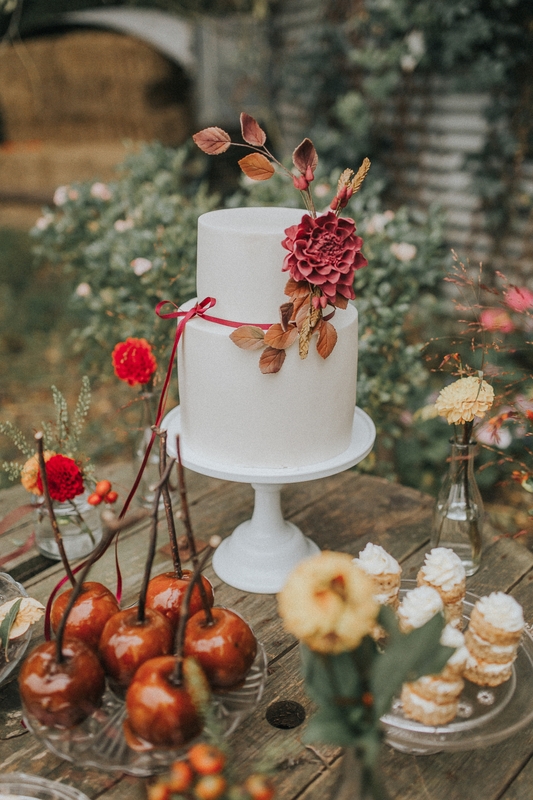 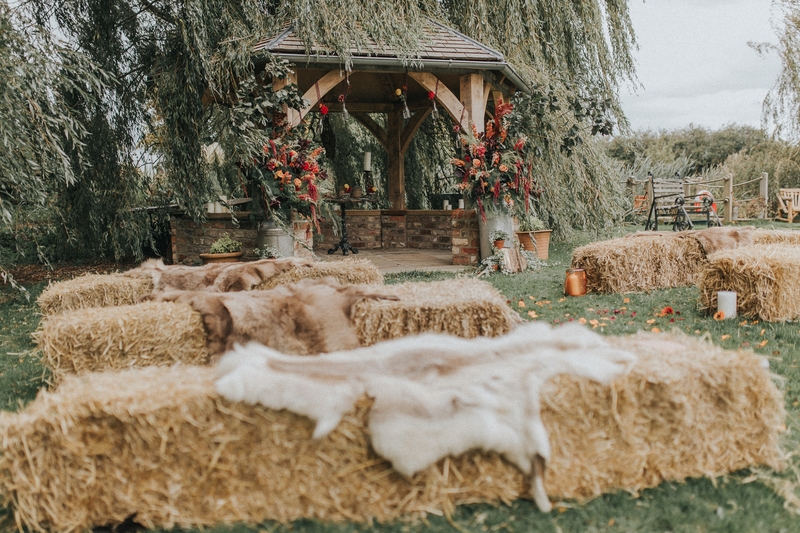 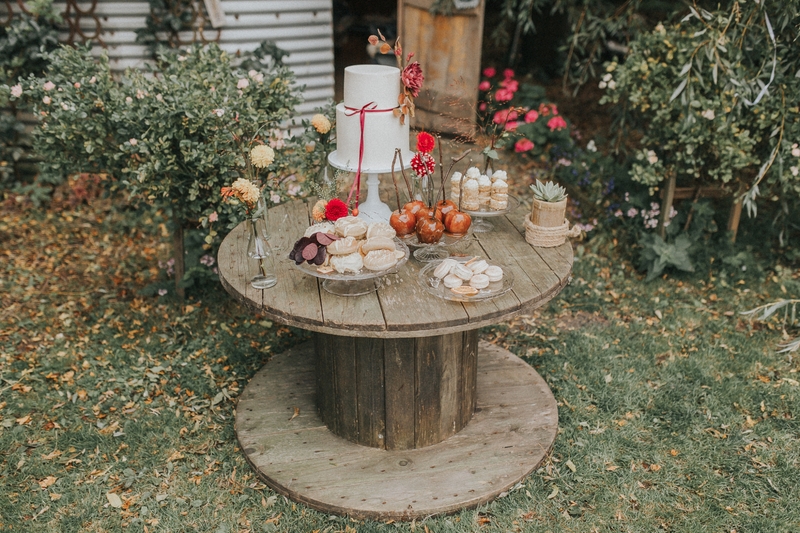 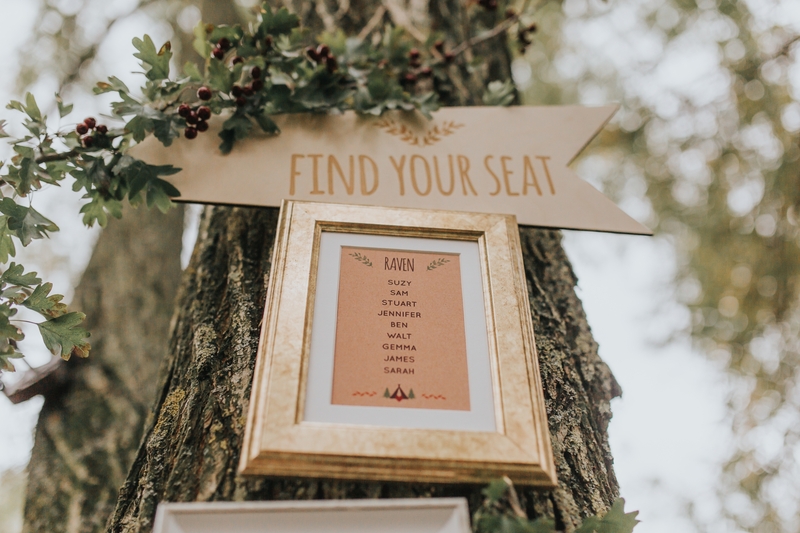 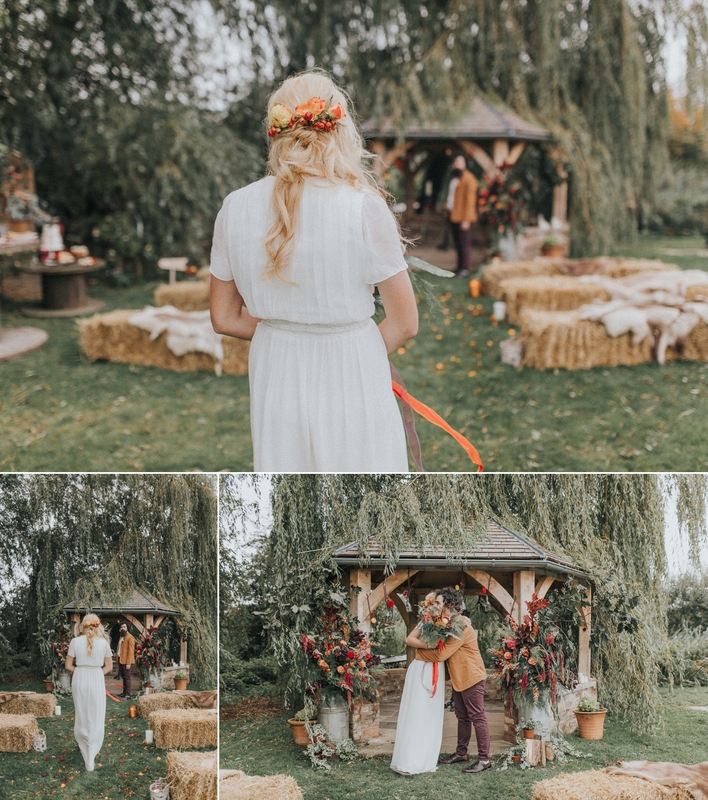 Burnt oranges, pastel pinks, reds and yellows adorned the tables, aisle and wedding pagoda, creating a bright and colourful standout against the greens of the willow trees. 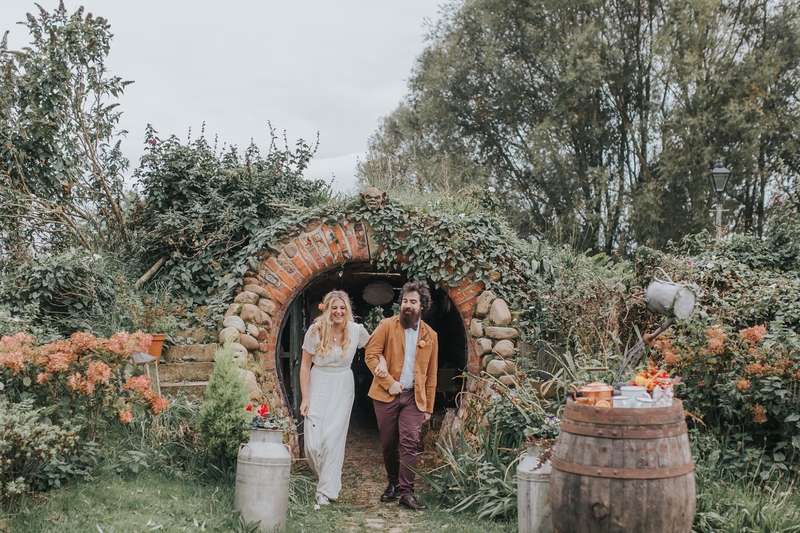 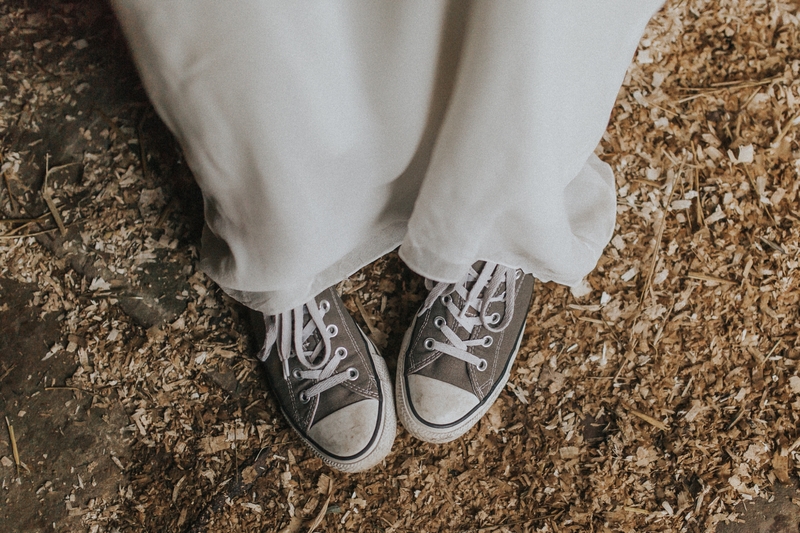 The bride’s dress is from Francis Bridal which is absolutely perfect for adventure brides getting married outdoors. 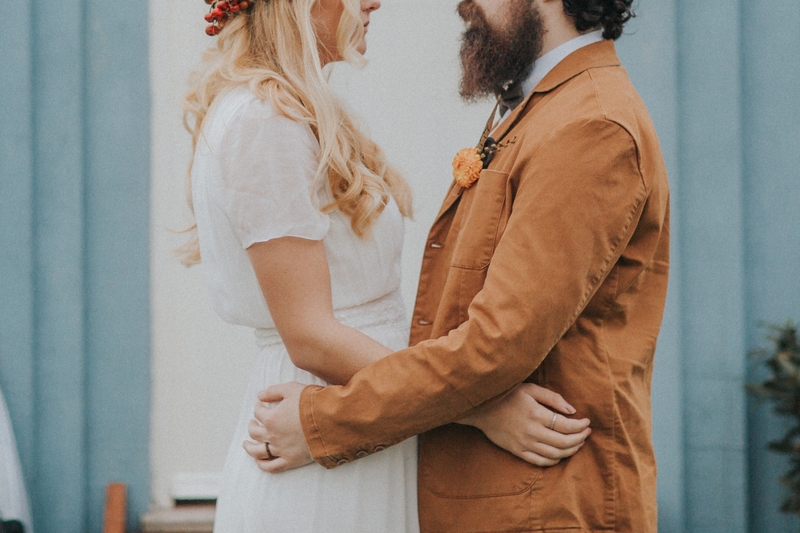 Additionally, there is beautiful detailing on the bodice but it’s nonrestrictive, allowing for ease of movement. 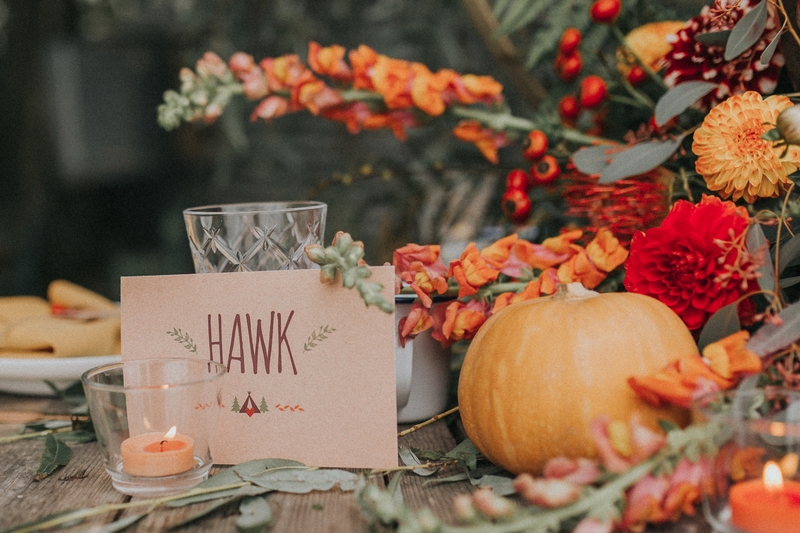 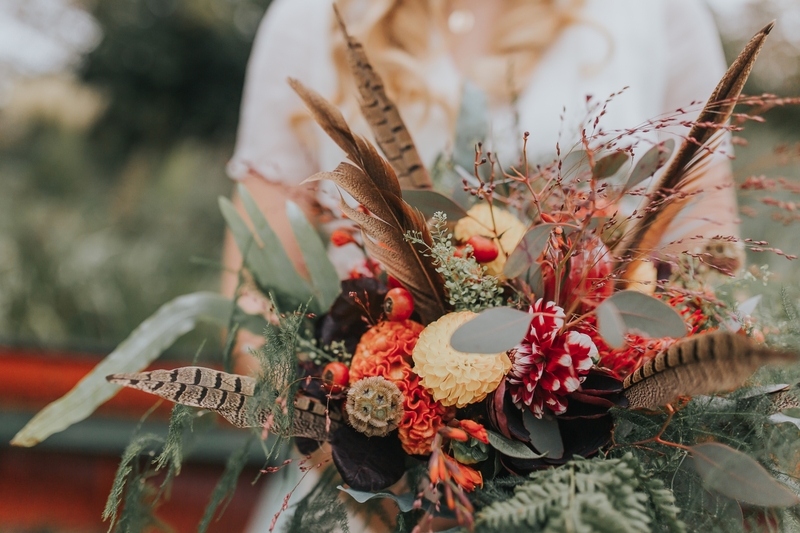 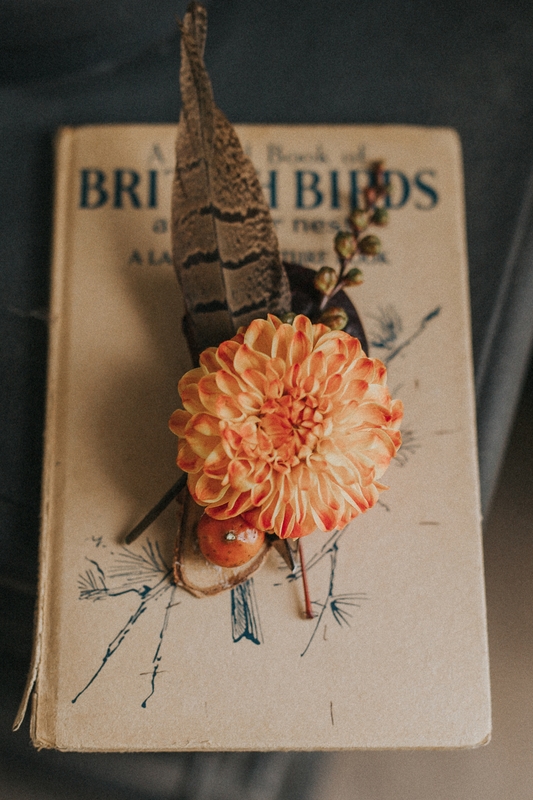 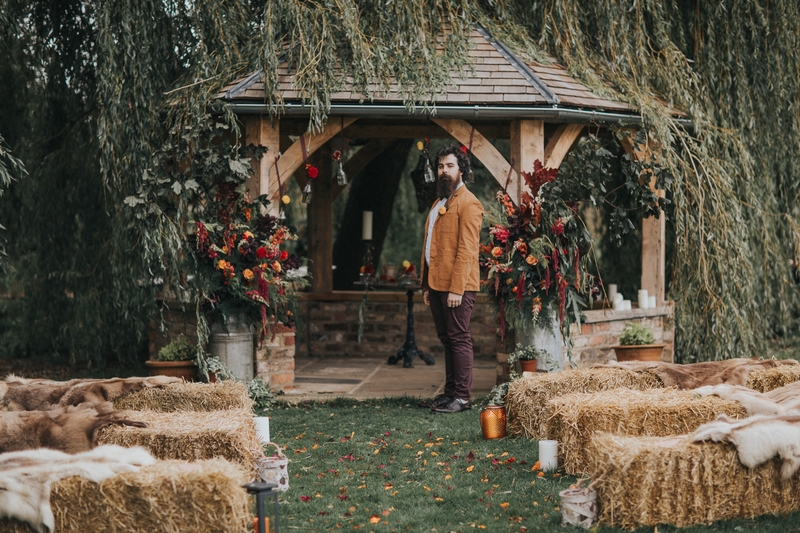 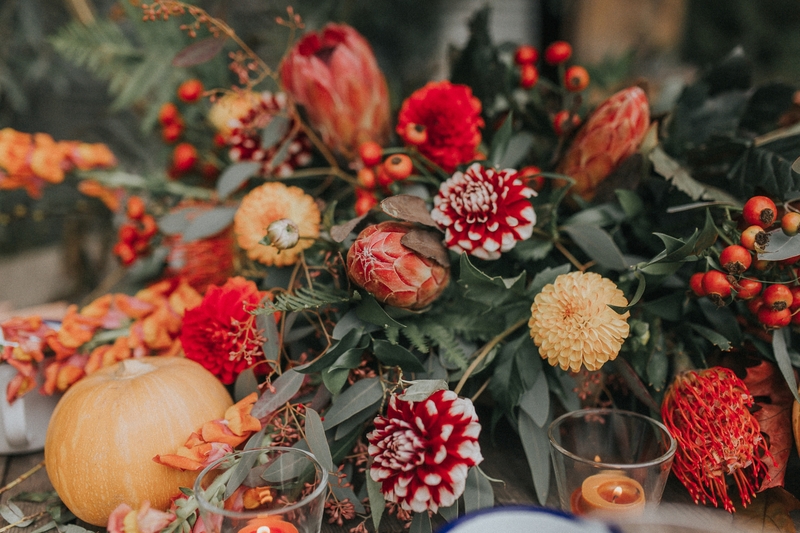 The bouquet was adorned with feathers, the same for the groom’s buttonhole And we used a simple jacket from ASOS for the groom to again keep with our autumn theme. 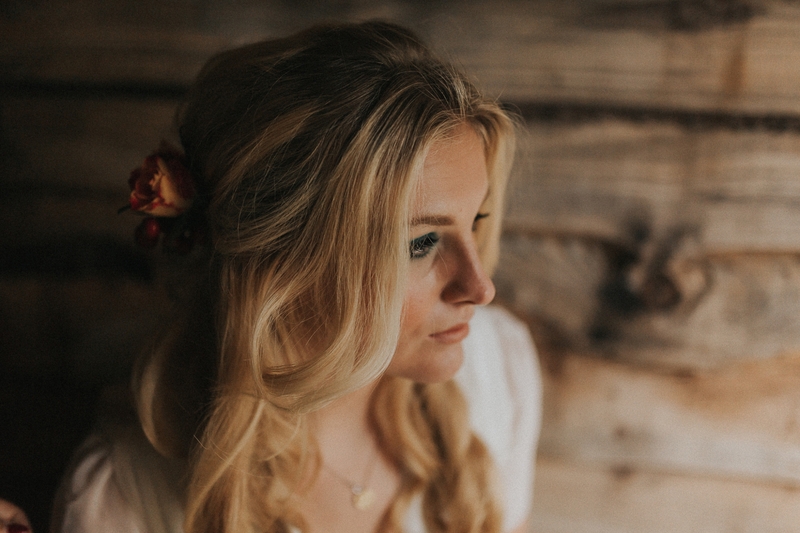 Finally, makeup and hair fit perfectly with the theme. 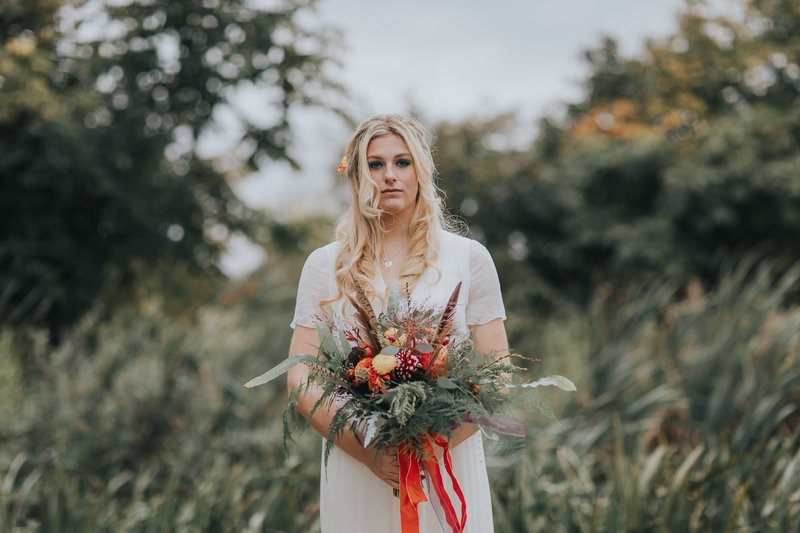 This shoot is currently featured with the awesome Bespoke Bride. 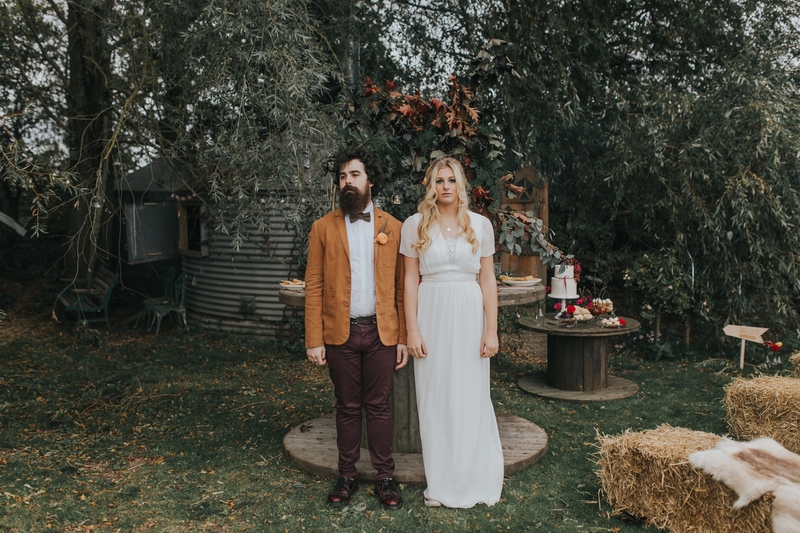 Their brand is quirky and colourful and their aim is to give wedding inspiration for unconventional couple. 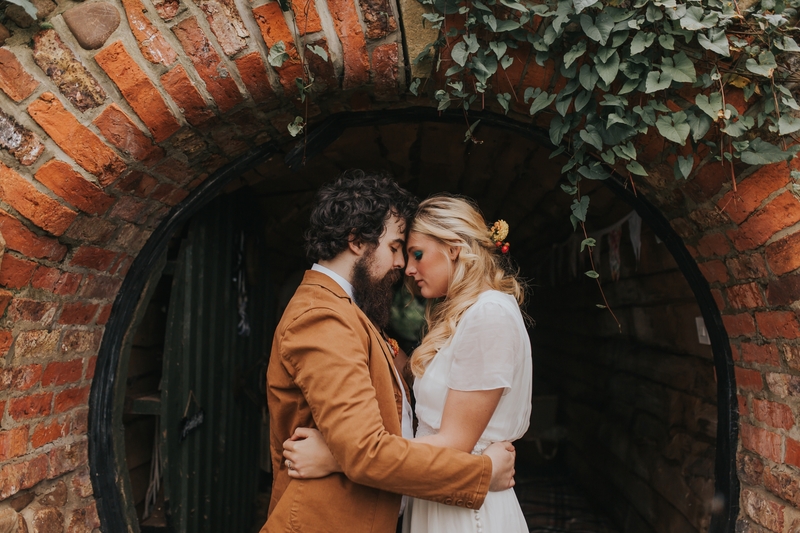 Furthermore, they are the top choice for me as a feature for this shoot due to their ethos and their audience. 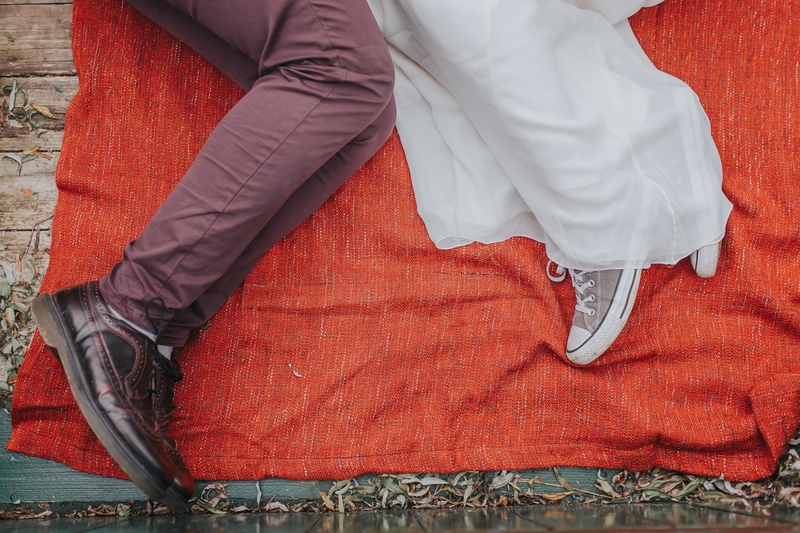 Finally, I am a big fan of their site and love the inspiration they provide for couples.